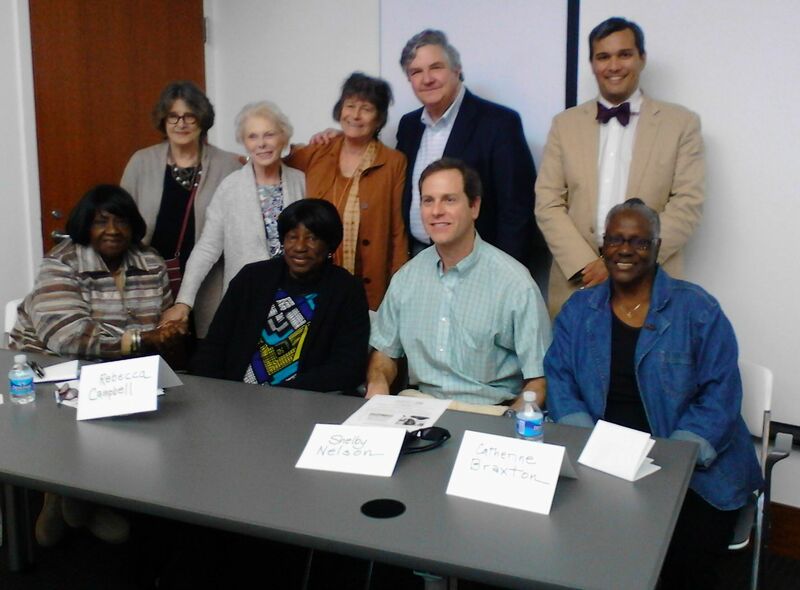 In March, descendants of Drayton Hall—both Drayton family members and descendants of the enslaved—participated in a panel discussion at the College of Charleston. Standing (l to r): Ruth Ellen Gruber, Lainie Lesser-Mark, Dale Rosengarten, George McDaniel, Grant Gilmore. Seated (l to r): Annie Meyers, Rebecca Campbell, Shelby Nelson, and Catherine Braxton.